The Hamazkayin Sardarabad Dance Ensemble transforms the ancient traditions of Armenia into a 21st century multi-media spectacle of music, motion and light. Not unlike Lord of the Dance’s contemporary reinvention of Irish dance and culture, the Sardarabad Ensemble employs the timeless dance steps of an age-old folk culture to create an extraordinary experience for audiences. An ancient nation from the borders of Asia and Europe, the rhythms of Armenia first came to worldwide attention nearly a century ago through Armenian composer Aram Khachaturian’s “Sabre Dance,” which remains a staple of classical concert music. For their first performance in the Milwaukee area, the Chicago-based Sardarabad Ensemble will be joined by members of Detroit’s Hamazkayin Arax Dance Group, forming a colorfully costumed ensemble of 85 performers. 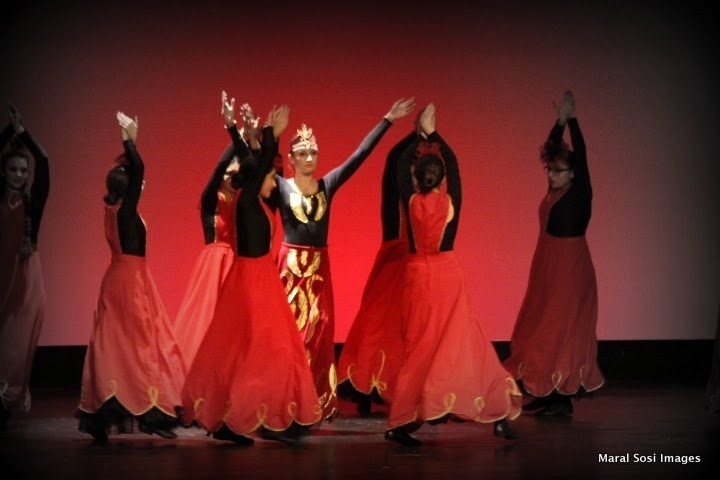 The Armenian Community of Greater Milwaukee is sponsoring the dance concert as its contribution to Armenian Culture Month, observed every October to honor the achievements of a civilization older than Rome and as ancient as Greece and Persia.